I wrote this below in the notes app on my phone as it was all happening. The scenario. A bunch of us were going down and all staying in one big house in Gracetown to go surfing all weekend. I was going to be arriving on Friday night by myself. Can’t find the house for an hour. Walking up and down a road in the middle of nowhere in the cold in pitch black with only the faint light on my phone trying to find the house I’m supposed to be staying in. Contemplate turning around and driving the 3.5 hours back home. There’s no reception so I can’t even call for directions. I’m about to go home when I spot the house I’m supposed to be staying in. A house has never looked so warm. Find out that the guy who was supposed to be courting me not only has been ignoring me, but in that time he’d gotten himself a girlfriend and hadn’t told me. He still hasn’t told me. It took them one accidental walk in the park for them to date. He strung me along for over a year. But apparently has “communication” problems where he can’t convey his feelings. So how did he manage so well with her? I feel angry, upset and betrayed. My faith in men has been significantly destroyed. Then this morning some more Surfers arrive. Two guys I had never met. The group got split and I wound up walking to the beach with one of the guys in his late thirties.. He took me the longest way possible to the surf spot up a huge hill and it sucked so hard, especially carrying a surf board the whole time. I’ve now known this guy an hour and a half and he’s asking me out. What the? Apparently I’m the nicest person he’s met in very long time. He’s recently divorced, very overweight, a bit creepy and with a baby.. I turned him down nicely of course. Then we get to the spot and there are so many rocks and the waves are big. Too big for me and my surf board. He reckons I can hack it. Out we go. I tell him I know my own ability and it’s a dangerous spot in general. He laughs at me, says I am over reacting, reconfirms that he’s a surf instructor and will look out for me and to stop being silly. Some nasty sets come in, catch us offguard. I was right. This is bad! I attempt to miss his flying board and try and dive under the wave and avoid the rocks. I feel shooting pain in my foot. There’s blood everywhere. My foots been sliced by the fins of one of his board. I signal to go in.. So many rocks. My foot is completely out of action. Did I mention we watched shark week last night? He yells at me to try and walk it in. I can’t stand on my foot. I try and ride in as much as I can and weave in between the rocks. I get pretty far but then there’s too many. I have to walk it in now. I can’t stand on my injured foot and the next set wipes me off my foot. I’m like a rag doll on those rocks. I must have hit at least 30 of them with all parts of my body. I try to protect my face and succeed. It takes me about fifteen minutes to get back onto the shore. I’m bleeding from both legs and both hands are sliced open more than 5 times each. More blood. Now for the fun walk back. 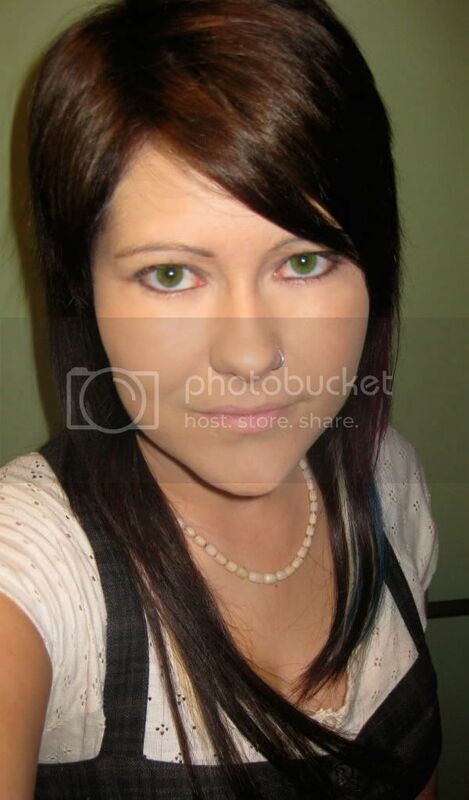 So now ive bailed on the all the men. I just drove 40 km to a vegan hippie organic cafe and I’m sitting here alone listening to reggae and eating the most amazing lentil and portobello burger. I’ve surfed Thunder Bay and I’ve got the battle scars to prove it. So some of you would know that I’ve been managing the Wasps Premier Alliance Men’s hockey team for 2010. We have our brownlows coming up, and one of the awards is the Tough Guy Award. Basically in one of our matches, there was a stick check between one of our players BJ2 and a Melville defender. Basically it ended up in the Melville’s players stick snapping in two on impacts with BJ2’s stick, and both pieces went soaring through the air at head height through the Wasps attacking circle, one half narrowly missing our own wing, Scoobs’ head. It actually skimmed the top of him. We had to hear from weeks on end from Scoobs who narrowly missed death. Two weeks later, we had a match at the same venue, and we found one of the pieces of the destructed stick lying on the side of the field. Now this was a very expensive and impressive stick. So we kept this half as a reminder, and I have been asked to mount it as a trophy to be awarded to BJ2 for his destructive efforts. PS. The inside of composite hockey sticks are REALLY FREAKING cool!! I hate other people driving them. Usually it was just large trucks due to a seriously scary accident I was in, when I was about 14. However after this last week, it is buses too. 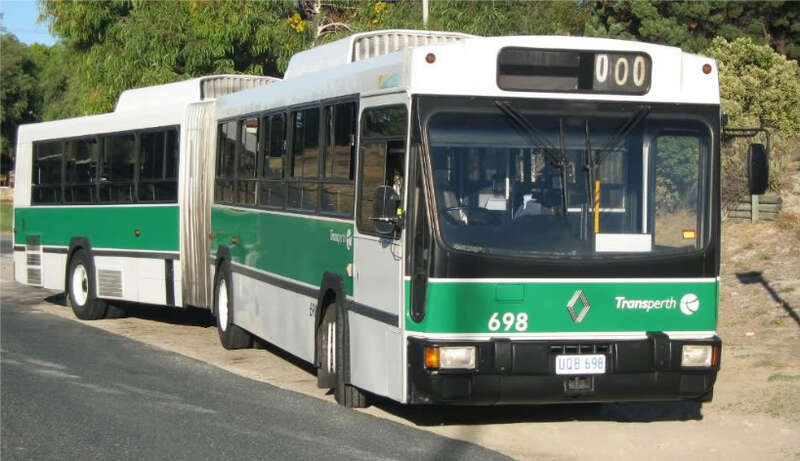 Can you imagine driving along the freeway behind a bus, when two of it’s tyres burst, and the bus immediately slows down but starts skidding and swerving everywhere? Yup. Not cool. Luckily I managed to swerve out of it’s way and miss it. Then this morning, I’m going the speed limit of 70 along a two lane road. I’m in the right lane, and out of nowhere a school bus crosses into my lane from the right, going at about 10/20 km per hour. Not only did I have to slam on brakes, watch my laptop go flying off my passenger seat, but have to swerve into the left lane, hoping there wasn’t cars there. About 20 seconds later, the bus without indicating, changes into my lane, cutting me off AGAIN. I had to then slam on brakes once again, and swop back into the right lane. They managed a sheepish little sorry wave. But seriously, school children were on that bus. How the hell did they get their F class and bus job? I hope it helps the cops find our murderers. We are in the sketchiest neighbourhood so far of the aus and nz trip combined. In broad daylight rob was nearly mugged and later some crazy lady tried to take the shirt off his back. We have driven to the next town, some 5 km away called euston, and the next town is about another 90km away. This town is not much better. There is a real sinister vibe, the buildings are downridden and looked evil in themselves. As foreigners we’ve attracted some uneasy looks. We are currently parked on the main street outside the public restrooms. Near the police station. We figured it would be the safest spot. It’s 8;57pm and so far rob, Jamie and myself are still alive. The boys are sleeping out of view in the back, yet I’m sleeping across the front seats in prominent view through the windscreen for anyone to glare/gaze and plot against. Tonight will be a very uneasy sleep. I’m leaving my contacts in, so I can identity potential intruders. I’m wearing jeans and a hoodie so I am appropriately dressed for a quick get away, and I have a frying pan lying next to my head, to flail and destroy any would be intruders. Wish us luck. We really need it. Ps. This is scarier than alien/cow encounters! 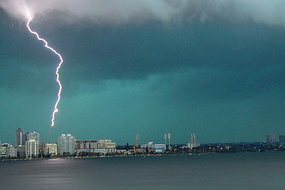 Last night Perth had rain for the first time, since something like October/November. Let’s just say Mother Nature made up for her absence with a huge big bang. One of the biggest Electrical Hail Storms I have ever been in. My lost our power and got flooded a little bit. To be honest, we were one of the lucky ones. 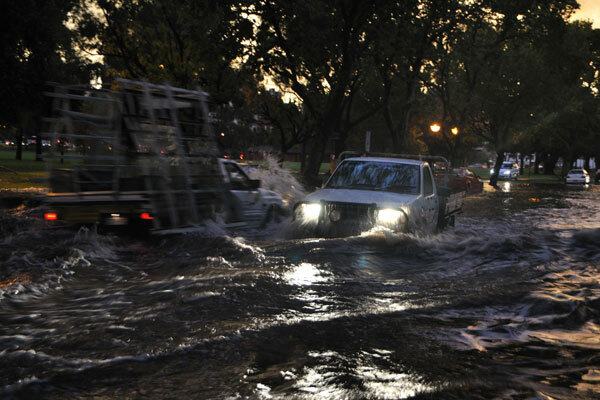 Almost 100,000 homes remain without power in Perth after a major storm swept across the city on Monday, causing widespread flooding and damage. Western Power said 158,000 homes were blacked out at the peak of the storm, at 7pm (WST). Lightning struck in the local substation yard causing a pole to fall over on to vital equipment, cutting power to six major lines. Lightning cut power to 9000 homes in Wanneroo at 3am, while there had been widespread powerline trips across the metropolitan area, Western Power said. Other affected areas were Southern River, Kalamunda, North Beach, Mullaloo, Welshpool, Bentley and Lansdale. A Western Power spokeswoman said many properties could be without power for several days. She said the conditions had made it unsafe to switch power onto alternate routes until visual inspections could be done at first light on Tuesday. 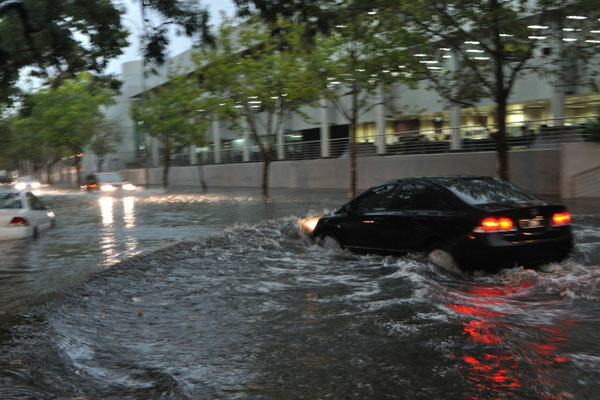 A Bureau of Meteorology spokesman said it was one of the biggest storms in Perth for many years, with wind gusts of more than 120km/h and 35mm of rain falling within about eight hours from 9am on Monday. Emergency services responded to many hundreds of calls for assistance with power lines and trees down, roofs broken and windows smashed. More than 100 residents of an apartment block in Kings Park had to be evacuated from the building after part of the hill near Jacob’s Ladder collapsed in the storm, causing a landslide on Mounts Bay Road. Yousr Kanbour says she was next door to an apartment that took the brunt of the landslide. She says she had no idea what was happening until a police officer knocked on her door and asked her to open her bedroom blinds. “There was sand everywhere, everywhere outside and it was halfway filled through my window and all the mud was in my room,” she said. People who were unable to spend the night with friends and family have slept in temporary accommodation at the Perth Convention Centre. 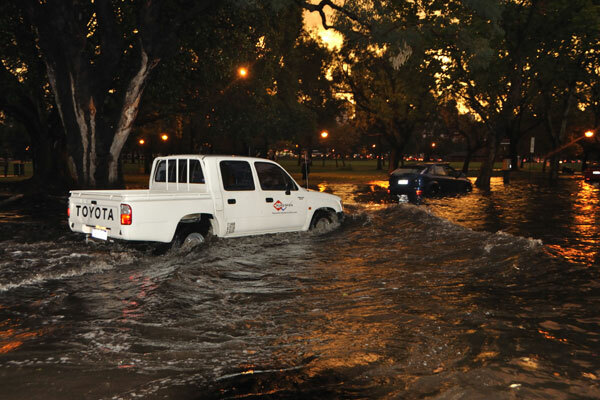 The storm wreaked havoc on the city with flooded roads causing major traffic delays. Flight schedules were thrown into chaos, as were train and bus services. The education department reported seven schools would be closed on Tuesday while Sir Charles Gairdner Hospital has called off outpatient and elective surgery appointments for Tuesday. Cars in the hospital car park were damaged as hailstones the size golf balls rained down during the height of the storm. 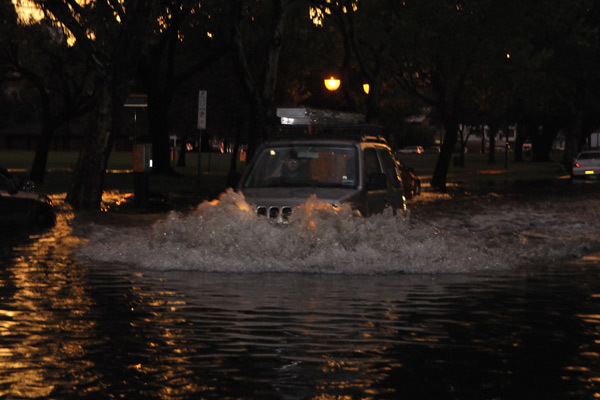 The Bureau of Meteorology said more storms were expected on Tuesday but not as severe as Monday night. 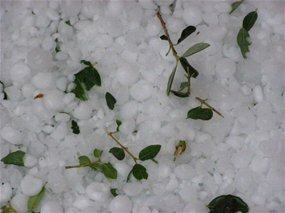 The bureau’s Neil Bennett confirmed that hailstones were as big as golf balls and they “were moving at a huge rate of knots”, causing many smashed windscreens. 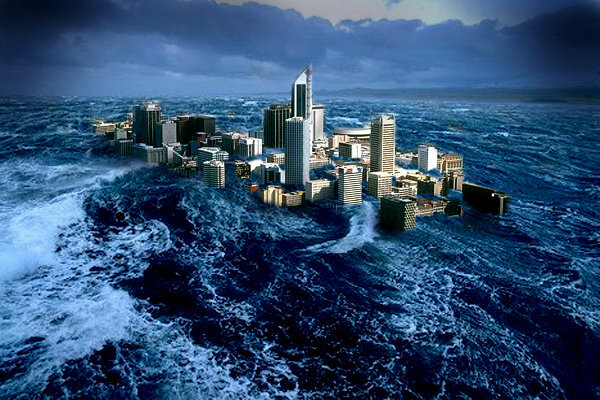 “You just feel sorry for people caught in it with nowhere to go,” he told ABC Radio. 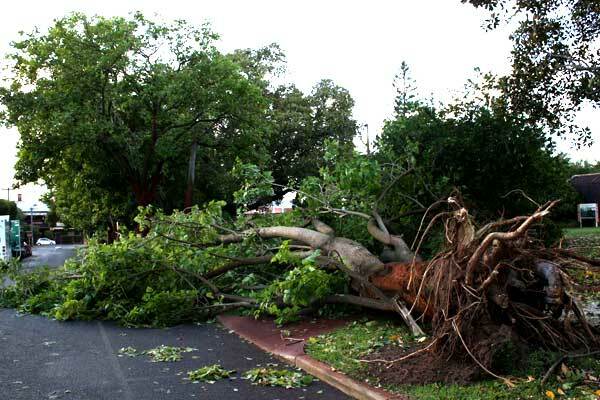 The Insurance Council of Australia has declared the Perth storm an insurance catastrophe and an insurance taskforce has been established to assist damage claims.